This has got to be one of hub and my favourite lazy meal. 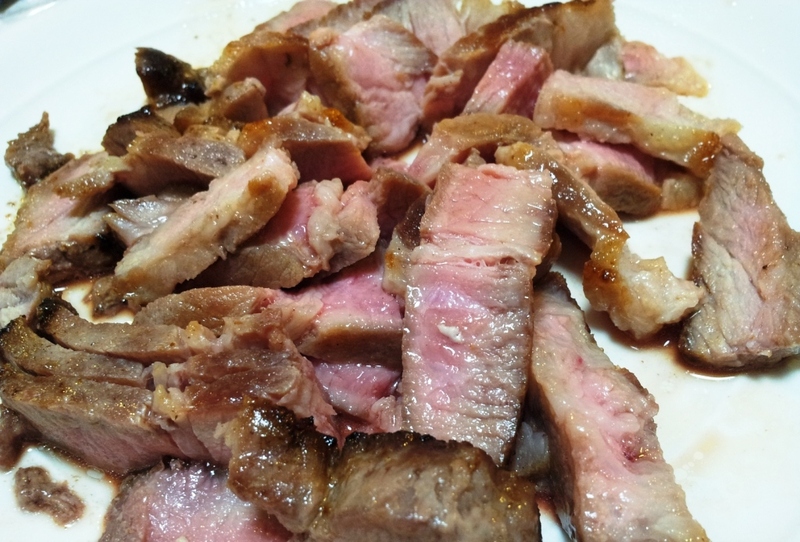 It’s so tasty and easy to prepare. At one time, we have this almost every fortnight at home. 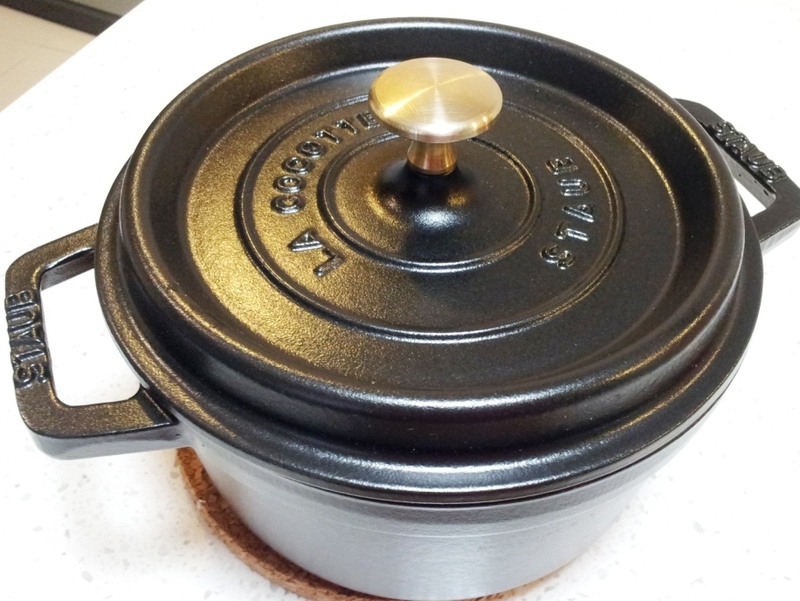 Not to mention, I just got something special back from Paris which I couldn’t resist using… My brand new cocotte – the 20cm black Staub. Yes !!! I am crazy enough to lug it back all the way from France. How can I resist?! It’s so cute and i love the color. And the price !!! (It’s only about EUR 72 after VAT – about RM 290). Hence, I’m going to use this little baby to make my Japanese curry. 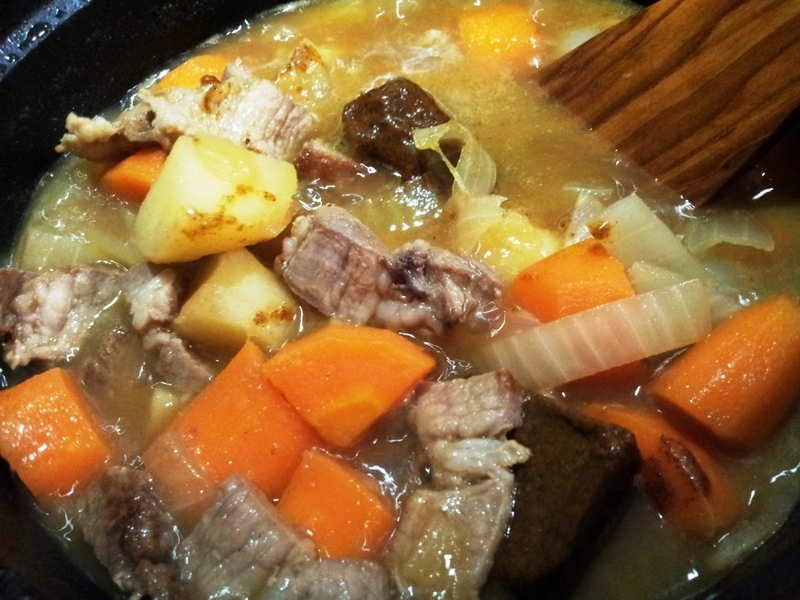 For me, the most important thing for a good Japanese curry is the stock you make from vegetables. This gives it an extra sweetness (without adding sugar). 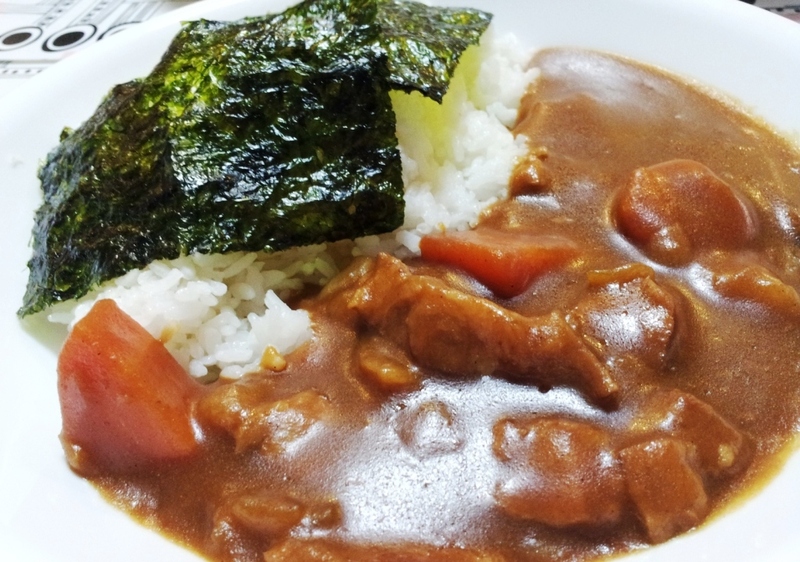 I prefer to use Russet potatoes when making Japanese curry rice. The reason is because I love the soft grainy texture it adds to the sauce when some bits of the potato disintegrate. Sauté the pork in the pot until semi cook. Let the meat rest before slicing it. 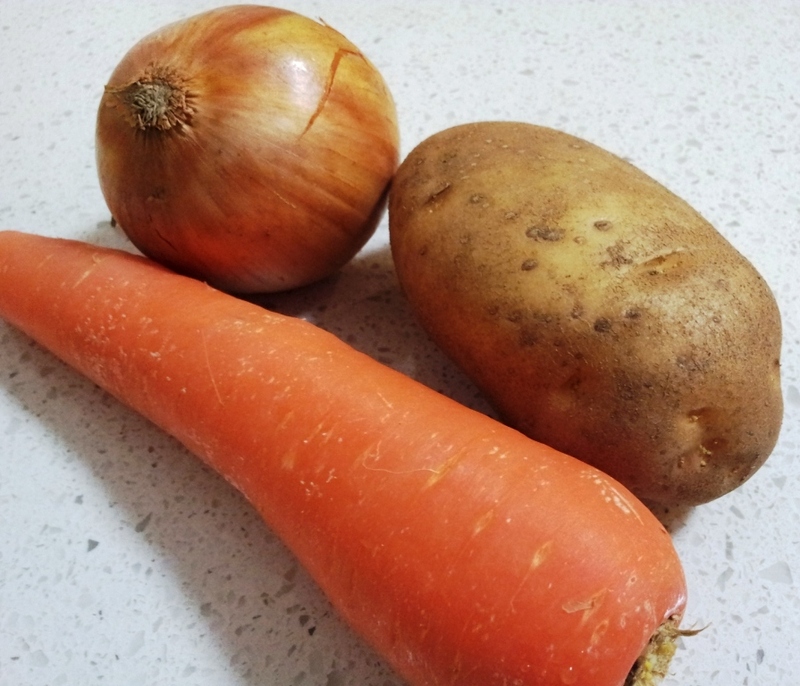 After that, sauté the diced potatoes, carrots and onion till brown. Add hot water to fully cover the ingredients. 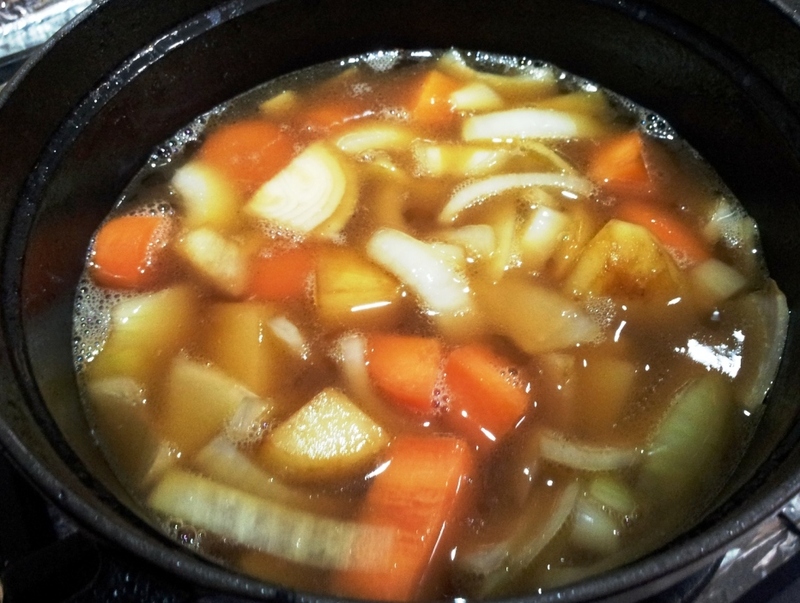 Allow it to simmer until all the vege is soft. With the Staub, I only need to let it sit for 10 mins on low fire and everything gets really nice and soft. After that, place the meat into the pot and allow it to simmer for another 2-3 minutes. Usually, I add the curry roux block piece by piece. That way, I can gauge if the thickness is to my liking or not. Once all the roux melts, the consistency of the broth will be stew-like. Yummy comfort food in less than 20 minutes.